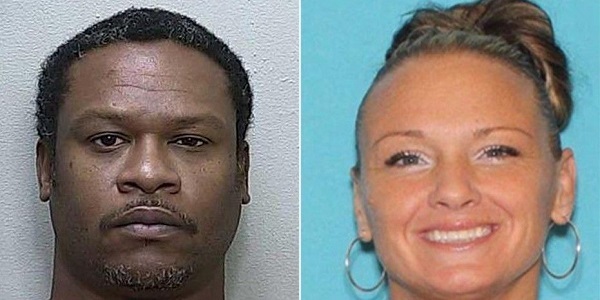 Vincent Terry, 47, from Florida is accused of killing his wife, who is missing, and taking photos of her after the fact. Terry's wife, Chrystal, 41, has been missing for the past three months, and her remains have not been found. Terry reported his wife missing on Jan. 8, and claimed she fled their home on Dec. 21. Chrystal was 20 weeks pregnant at the time of her disappearance, and Vincent claimed that she left their home without her medication, wallet and cell phone. Before she disappeared, Chrystal texted her friend to asking him to pick her up in a cry for help. Authorities discovered that the texts were deleted by Vincent, and they suspected he was involved on his wife's disappearance. In the photos, Chrystal was naked, appeared to have facial trauma and was bloodied. According to authorities, Chrystal had what appears to be a gunshot wound in her abdomen. Vincent alleged that he took the photos during an argument and wanted to show his wife how she looks like after she takes pills. He also insisted that Chrystal left their home after the argument never to be seen again. Based on the photos and also a rifle found in his possession, the Marion County Sheriff’s Office arrested Terry and charged him with second-degree murder. Bankruptcy Laws in Michigan: Find out what are the Michigan bankruptcy laws and what to do in case of bankruptcy. Bluetooth Basics - how Does Bluetooth Work?